The "Soundcloud" block displays an audio track (music, podcast ...) on a page of the site. Click "Add content" to where the "Soundcloud" block should be placed on the page. The audio track is displayed on the page. Make sure that the shared audio tracks are public and accessible. 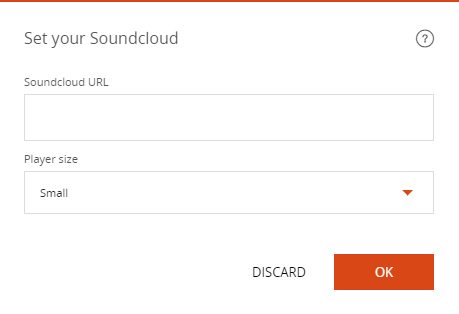 If the audio track is set to "Private" on Soundcloud, it can not be shared on your site.